What’s in a cover? An recent interesting conversation about book covers, led me to think about my own favourite book covers and whether they were influenced by my feelings about the book. The question asked was: ‘Do your favourite books have your favourite book cover? Or can the two be separated?’ It’s an interesting question because it considers that you have already read and made a judgement on the book in question, whereas the question we are most often asked: ‘Do you judge a book by its cover?’ assumes the opposite. So, here are some of my favourite covers and thoughts about why and whether there is a connection between my feelings about the cover and the contents. 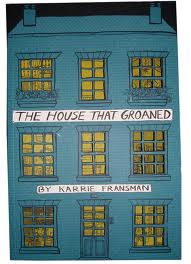 ‘The House that Groaned’, by Karrie Fransman has one of my favourite ever book covers, and, I confess, is one of the reasons I bought the book. But it wasn’t that alone. I loved the title, and the blurb on the back (which is extensive). It’s a graphic novel and the part of the blurb tells us: ‘It is set in an old Victorin tenement housing six lonely individuals who could only have stepped out of the pages of a comic book’. Yep, that appealed! What is even more yummy about the book cover is that you get snippets thought the windows of the people within’s lives – it’s very tempting and urges you peal back the cover. The book lived up to all my expectations and the cover and contents seem inseparable – I just can’t imagine a ‘better’ cover. Another one of my favourite book covers is from a book I’ve had hanging around for some time but have only just got around to reading. I started it a couple of days ago and love it! 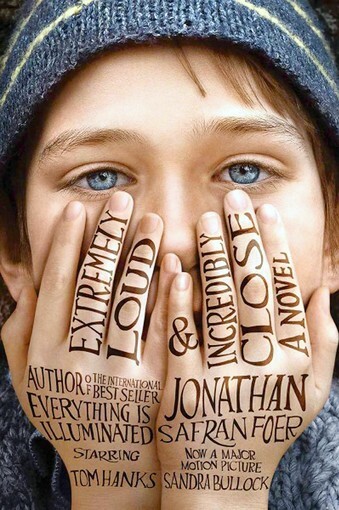 When I bought ‘Extremely Loud & Incredibly Close’, by Jonathan Safran Foer, I was completely sold on the cover – incidentally, there are a variety of covers to this book, but the one pictured here is the one I was drawn to. I’m not normally keen on book covers that incorporate a photographic type image, but I loved the hands covering the face and the fingers seeming to point upwards to the eyes. Something about that, and the woollen hat, give a real sense of emotion and vulnerability to the character. The title puzzled me too and made me ask questions, and I love how the writing goes up the fingers and across the hands. The cover is quirky and emotive… and the story is quirky and emotive too so that the two sit together beautifully. 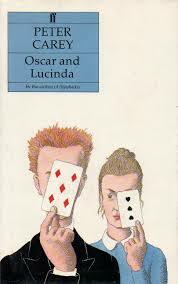 One of my other faves is from a book dating back to 1988 – ‘Oscar and Lucinda’, by Peter Carey. It’s so long ago that I can’t remember if I bought the book on recommendation, but I do know that I loved the cover, and still do. I think it was partly the half hidden faces, the playing cards, the suggestion of an interesting and unconventional relationship between the two characters. Also, the cover appeared hand drawn and painted – it was a piece of art in itself, and I do like covers like this. I went on to buy many Peter Carey books, and am a huge fan. This is definitely a book where I find I cannot separate out my love of the cover and the story. And I’ve just realised something – there’s an interesting connection between all three of these book covers that hadn’t occurred to be before writing this – they all suggest things unseen, things hidden, and make me want to find out more! Last but by no means least, what I think is a wonderful cover to a very intriguing book. 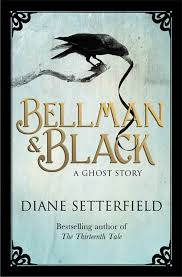 I bought ‘Bellman & Black’, by Diane Setterfield, a few months ago whilst wandering around our local Waterstones. The title as such didn’t appeal to me, but the font did, and I loved the cover to bits. It was also in hardback and is quite a big book – it felt so heavy in my hands and was such a beautiful thing that I couldn’t resist. It was bought purely on this basis as there is no blurb, as such, on the back of the cover. Being a bit of a sucker for corvid’s, and the cover being from another lovely hand drawn/painted image, it definitely sold it to me. The title, ‘Bellman & Black’, stands out in gold – I don’t normally like shiny stuff on book covers, but this is both subtle and striking. This was definitely a case of having bought the book purely on the basis of the cover. I enjoyed reading it – it’s an intriguing, haunting story, and the cover gives you just a hint of this. It is a thing of beauty. So to answer the question: ‘Do your favourite books have you favourite book cover? Or can the two be separated.’ Yes… and no! In some cases yes, but two of my very favourite books – ‘The Book Thief’, by Markus Zusak, and ‘A Prayer for Owen Meany’ by John Irving, don’t, and quite a few of the books I love don’t. I think this is because, although I am drawn to book covers, I am also drawn to the title, the blurb, and the actual words, because I ALWAYS read a bit of the first page to see if I like the writing. If I do find myself falling in love with all of these things, then yes, they become quite inseparable. What are your favourite book covers and does your choice reflect your love of the book itself? Two of my favourites are The Sad Tale of the Brothers Grossbart and The Manual of Detection. I agree, a cover does set the tone, and should. I guess if it doesn’t then it’s not very well matched. I’m unfamiliar with both of those but have just looked on Amazon – The Manual of Detection cover is ace – that would definitely make me want to pick it up and read it. Love this post, Abi, and I am so glad I had something to do with its origin. The question may even be more interesting than I realised when I posed it on Twitter and Facebook, and I can’t wait to make a post about it too. I have no idea at the moment what books I will choose! I love the examples you’ve given and, like you, I don’t normally like covers with photographs of characters on them, but that Extremely Loud & Incredibly Close is a stunningly well designed cover. I always like the hardback cover for Illusions by Richard Bach. It is plain blue with a single silver feather on it. I wouldn’t mind the image on its own, if I had seen it as a poster for example, but I love it on that book, and it is partly because I love the book so much. Love all your other choices too, especially The House That Groaned, which I have heard of but did not realise was a graphic novel. Aw, thanks, Dean. Really glad you posted the question and got me thinking. I’ve just looked at the Richard Bach cover – it’s stunning. I would definitely be drawn to that if I saw it in a book shop. You would love The House That Groaned. I am lucky enough to have a signed copy with a little drawing as Karrie happens to be a friend of a work colleague – small world eh? Oh you lucky thing! I love a signed copy of a book – it makes them so unique. 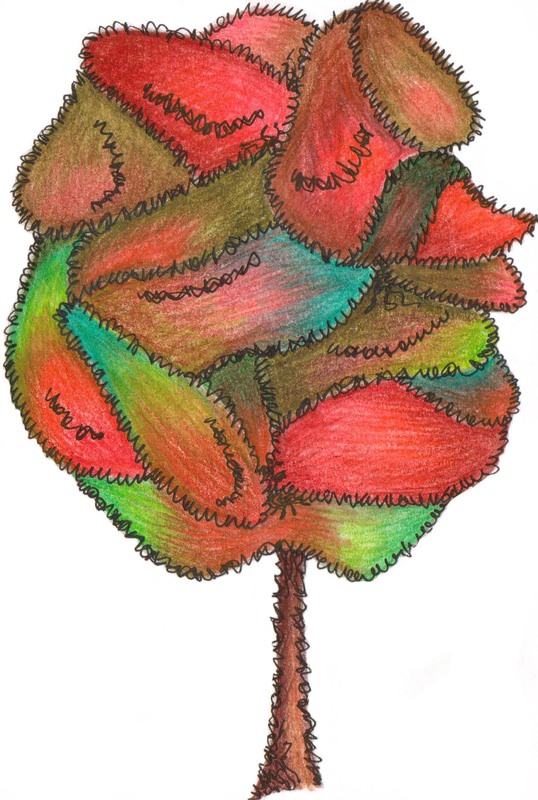 But to get a wee drawing is fantastic! I also love it when you get a book as a present and the friend that has bought it writes a little something on the inside. Yeah me too. Makes them really special. A very cool post! While I don’t have a favorite book cover, I’m definitely drawn to them. It’s one of the things I miss about not having much access to brick and mortar book stores — I almost never see books prior to ordering them online. I also know as a self published author the difficulty being on the other end — trying to design a cover that will attract readers. I love all the book covers you put in this post and can see why their favorites! Thanks, Julia. Yes, I would miss that too. I really like to explore a book before I decide to buy it, especially if it’s an author I haven’t read before. The internet is great when you know what you’re looking for, but not as good as a good old book shop when it comes to discovering new authors. I sometimes like charity shops for finding new books / authors. But sometimes a book has to be a new copy for some reason. I haven’t bought a new book in way too long of a time! That’s a great point! I love second hand stores for book perusal. Although like Dean, sometimes I need it to be new. The internet is better suited to if you know what you want… unfortunately we only have a few bookstores in our entire state! I don’t think I’ve seen that either, Julia, but it does ring a vague bell, and I do like John Cusack, so will have to see if I can get a copy. Sounds cool! I think sometimes I prefer an older copy of a book to a new one partly because sometimes older, second hand books can have those plain coloured hard covers, and that is I was to buy the book new I’d probably go for the softback, which almost certainly wouldn’t have a cover I like. I’ve got an old copy of Kim by Rudyard Kipling, and I just couldn’t imagine having a newer softback version, though in reality I bet I’d soon get over the difference. Oh yeah, there is definitely a new post in all this!